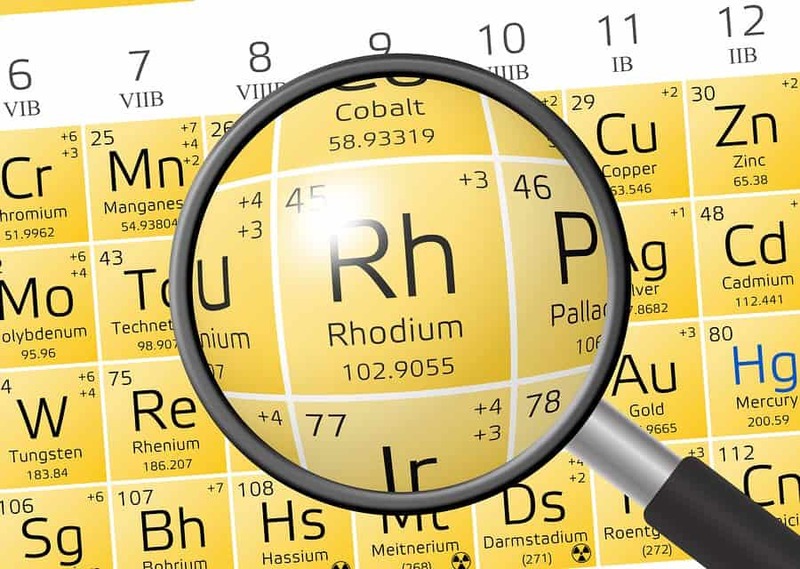 How long does rhodium plating last? In our Brisbane studio, we often coat our diamond engagement rings with Rhodium plating, which is a process that gives a lovely bright, white lustre to yellow gold. Rhodium is one of the most expensive of the precious metals, belonging to the Platinum group and it is very rare. The process of Rhodium plating is called ‘electroplating’ and whilst the Rhodium is only a few microns thick, it is perfect for keeping your jewellery bright, shiny and white. It is important to remember however, that even though this thin layer of Rhodium imbues a brilliant and luxurious white shine to your diamond engagement rings, Rhodium itself, plays little part in preventing wear and tear. In fact, Rhodium plating only lasts between 3 months and a year, depending on the amount of wear that can be seen. You will know when your rings need to be re-plated again, because you will start to see glimmers of yellow gold showing through the coating of the Rhodium plating. In Brisbane, we can re-plate your diamond engagement rings and wedding rings at our design studio in the Brisbane Arcade, with prices start from $65. If the Rhodium plating on your diamond engagement rings needs to be replaced too soon, then it is best to have your rings examined by an expert jeweller to ensure that the layer of plating is not too thin for your purposes. Even though the usual layer of Rhodium is extremely thin, on occasion it can be too thin and if so, this problem can be easily rectified, resulting in fewer trips to the jewellery store. Don’t forget that because the layer of Rhodium is so fine, continual rubbing will increase the wear of the Rhodium on your rings. This increased wear and tear can be an occupational hazard in jobs where you are required to wash your hands frequently, such as in the healthcare industry. In these cases, it is best to remove your rings at work, otherwise you will need to have them re-plated more often than normal. Also, avoid strong cleaning fluids that might react with the Rhodium plating, causing it to wear away faster than normal. Wear protective gloves if possible, and if not, remove your rings to keep them looking bright and shiny for longer. If you live in Brisbane and your diamond engagement rings need to be re-plated with Rhodium, you can make an appointment to see us at our CBD studio. https://ashleydouglas.com.au/wp-content/uploads/bigstock-Element-Of-Rhodium-With-Magnif-145671416.jpg 640 900 Ashley Tester https://ashleydouglas.com.au/wp-content/uploads/Logo.png Ashley Tester2017-04-12 08:00:192017-12-28 10:23:15How long does rhodium plating last?